Sherry Lee Frazier, 56, of Browning, Missouri passed away Thursday, January 31, 2019 at home. She was born on February 28, 1962 in Brookfield, Missouri, to Roger and Sharron (Maggart) Frazier. Sherry graduated from Northeast Missouri State with her Bachelors Degree in Accounting. After graduating she lived and worked in Kirksville, Missouri until she moved to Macon, Missouri where she lived for many years. She touched many people while working at Bickhaus Motors and Advantage Motors in Macon, and Cupp Chevrolet in Marceline, Missouri. Sherry is survived by her parents, Roger and Sharron Frazier of Browning, Missouri, brother David and wife Christy of Browning, sister Shelly (Frazier) Morris and husband John of Macon, her niece Caitlin Morris and daughter Whitney of Macon, nephews Justin Frazier and wife Emily of Carrolton, Jeremy Frazier and wife Kelsey and their daughter Jaidyn of Browning, Ben Morris and wife Loryssa of Jacksonville. She was preceded in death by her grandparents, and two uncles. 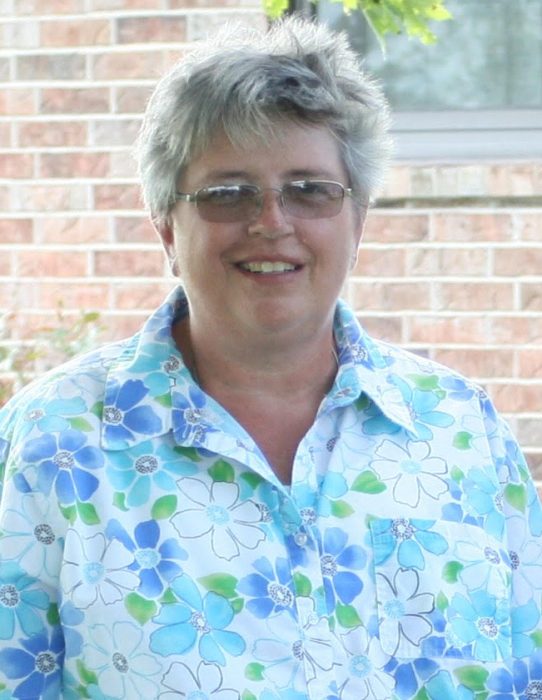 Sherry was a member of Crossroads Christian Church in Macon. She loved her family, especially her niece, nephews, and great nieces. She loved being on the farm, being outside, attending bluegrass festivals, reading, sewing and stitching homemade (chicken scratch) quilts for her family and friends. Funeral services for Sherry will be held 2:30 PM, Sunday, February 3, 2019 at First Baptist Church in Browning, Missouri. Burial will follow at the Knifong Cemetery, East of Browning. A visitation is scheduled for 1:30 PM, until the service time, at the church. Schoene-Ruschmeier Funeral Home is handling arrangements. Memorial contributions are suggested to Knifong Cemetery.